Do You Know How Much Your GPA Can Be Affected by Class Difficulty? You may know what subjects you find to be easier or more difficult. However, do you know which college classes are statistically easier or harder for all college students? To find out more about class difficulty, and how it affects grades, we surveyed hundreds of college students. Our findings reveal clear winners for the easiest and hardest classes on campus. At OneClass, we care about how well you do in your classes. Using the information below, you can better understand the impact of your courses on your grades, so you can build the best schedule. What College Classes Are the Easiest? 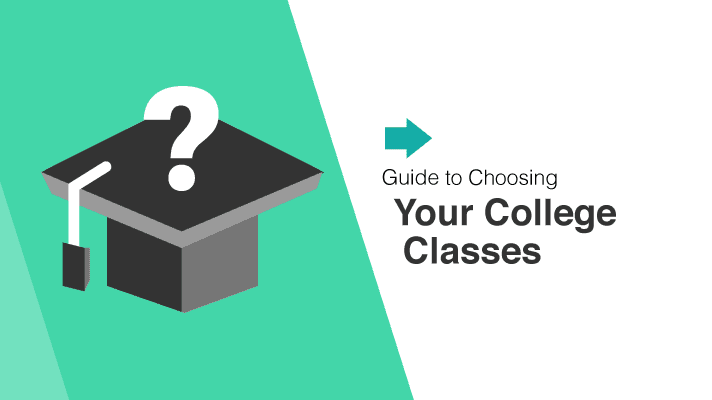 When it comes to choosing the easiest classes on campus, there’s a clear winner. More than a quarter of our surveyed students said that psychology was their easiest class. Of these students who selected psychology as their easiest class, 54 percent thought it was easy because they enjoyed the course material, and 33 percent thought the class was easy because the information that was covered in class wasn’t difficult. Following Psychology, English Literature is the second easiest class. As students at Cal State San Bernardino know, English Lit classes typically include familiar formats of readings and essay writing, making it an easy class in which to get a good grade. Notably, some students said that Underwater Basket Weaving was their easiest class. These students with a sense of humor were jokingly referring to non-academic electives that are typically less book-intensive. Beyond these top easy five courses, a diverse combination of courses ranked 6-10. In this next tier of easy classes, we see math and science mentioned, as well as theatre, sports, and bird watching. Bird Watching is a fun college class that provides plenty of opportunity to get outside the classroom. Similarly, Theatre Production isn’t a book-focused class, but instead, it covers production areas of set design, sound, and technical direction. Calculus and Biology are surprising inclusions in this easiest class list. However, even though the course material is difficult for many students, students who find these classes easy are well positioned to help other students who are struggle with it. What College Classes Are the Hardest? Our survey revealed that students are split in their opinions about the most difficult college class. Organic Chemistry and Calculus tied as the most difficult class. Overall, 57 percent of students thought one of these two classes was the most difficult. Even though Organic Chemistry and Calculus tied, they were chosen for different reasons. 82 percent of the students said this class was the hardest because of difficult coursework. For those who selected Calculus as the hardest class, 62 percent said the course material was difficult, and 15 percent cited exams as the reason. In the next tier of difficult classes, Math and Science classes were chosen by students. Although Philosophy can often be seen as a class with no wrong answers, it’s a difficult class that covers complex logic models, analytical thinking, and writing assignments. Physics is also one of the most difficult classes. Two percent of all students said that physics was their hardest college class, the subject ranked as the top two most difficult classes at UCLA. What’s the Impact of Easy or Hard Classes on Your Grades? When taking easy or hard classes, your grade for the class can diverge from the grades that you typically receive. According to our survey data, students who took a psychology class received a grade that was an average of 1.3 letter grades higher than their overall GPA. That means that a C minus student would, on average, get a solid B in the psychology class. Keep in mind that some students will see more or less of an impact on their grades. For students taking a psychology class, 3 percent scored three letter grades higher in the class than their overall GPA. About 10 percent of students scored two letter grades higher, 15 percent scored one letter grade higher, and 11 percent scored ½ of a letter grade higher in the class as compared to their overall GPA. On the other hand, Organic Chemistry students saw the opposite effect on their grades. On average, class grades were 1.8 letter grades lower than their overall GPA. In other words, students who typically get solid A’s would on average get a C+ in Organic Chemistry. Don’t feel too bad about that C+ though because reputation of the class’ difficulty was enough to inspire a NY Times articles titled, How to Get an A- in Organic Chemistry. Again, there’s a range of impact on grades. For Organic Chemistry students, 7 percent of students scored only ½ of a letter grade lower than their overall GPA, 16 percent scored one letter grade lower, 7 percent scored two letter grades lower, and 4 percent scored three letter grades lower than their GPA. However, there were some anomalies in the grade data. When taking classes in their hardest subjects, some students got grades that were the same as or better than their overall GPA. We’re impressed! Maybe they were using OneClass’ study guides and shared class notes to improve their grades! Find out how OneClass has helped 90 percent of its 2.2 million users improve by at least one letter grade.